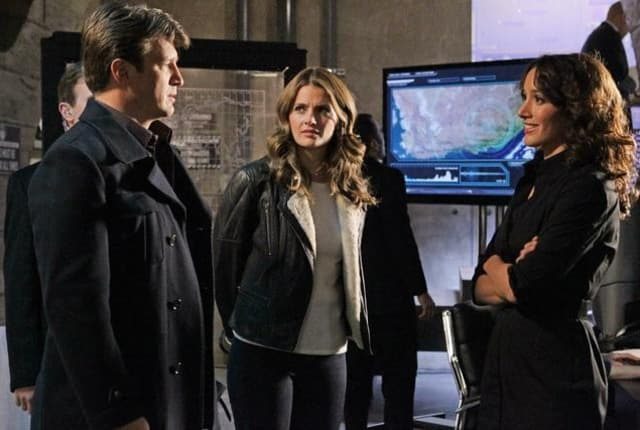 Watch Castle Season 4 Episode 15 online via TV Fanatic with over 6 options to watch the Castle S4E15 full episode. Affiliates with free and paid streaming include Amazon, iTunes, Vudu, YouTube Purchase, Google Play, and Verizon On Demand. Castle and Beckett are after a killer this week, which leads them to a major conspiracy. Jennifer Beals guest stars. Gives new meaning to the term overkill. Permalink: Gives new meaning to the term overkill. Permalink: There, your better half. Castle Review: An Epidemic of Evil? Castle Sneak Preview: Welcome, Jennifer Beals!